- Press release "Crafoord Prize 2016 awarded to Roy Kerr"
Press release "Crafoord Prize 2016 awarded to Roy Kerr"
The New-Zealander professor Roy Kerr, mathematician and physicist, holding the Lifshitz Chair at ICRANet, has just been awarded, with Roger Blandford, the Crafoord Prize 2016 "for his fundamental work on rotating blacks holes and their astrophysical consequences". 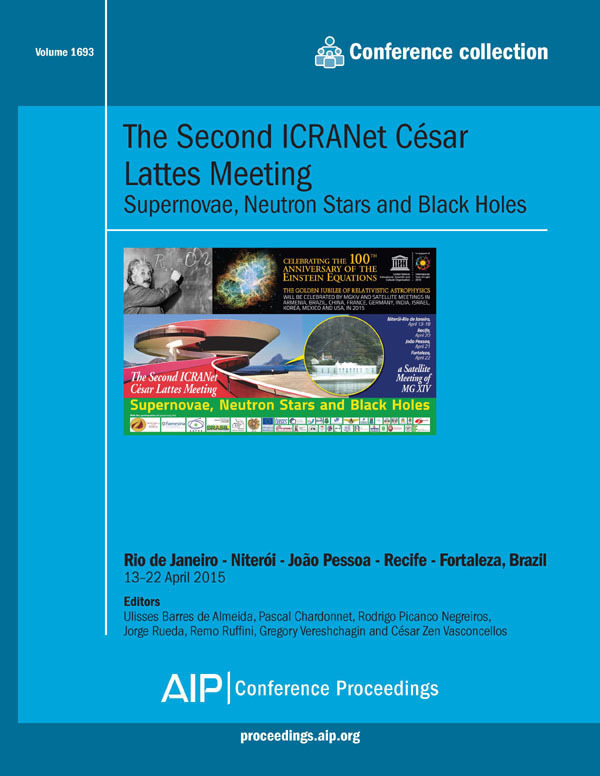 ICRANet is an international scientific organization whose members are four states and three universities and research centers: the Republic of Armenia, the Federal Republic of Brazil, the Italian Republic, the Vatican City State, the University of Arizona (USA), Stanford University (USA) and ICRA. 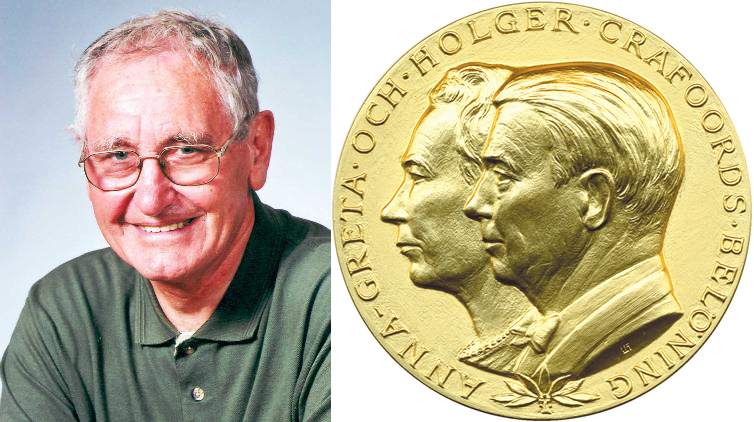 The Crafoord Prize rewards and promotes the researches in some scientific fields which are alternative to those traditionally rewarded by Nobel Prizes. This prestigious prize, approximately of one million Euros, is awarded by the King and the Queen of Sweden every year during the month of May. From its establishment on 1982 only six astronomers or astrophysicists stood out for the Crafoord Prize. Prof. Roy Kerr discovered in 1963 an exact solution to the Albert Einstein’s equations on General Relativity of a rotating object: “This mathematic solution – recalls the ICRANet Director Prof. Remo Ruffini – has allowed fundamental unprecedented advances in the applications in the fields of Physics, Astronomy and Relativistic Astrophysics: the applications extend to the field of the micro-physics of the elementary particles, such as the structure of the electron, to the astrophysics of Black Holes, which arise at the end of a star evolution, up to the most energetic processes in the universe, such as GRBs and the active galactic nuclei, where Black Holes and maxi-Black Holes, up to billions of times greater than our sun, dominate.” It was indeed Remo Ruffini with John Archibald Wheeler who used the Kerr mathematic solution, introducing it in the description of the fundamental physics processes, giving them the name of “Black Hole”, which has been then translated in all languages worldwide (Physics Today, 30, 1971). Since then, the Kerr solution has led to unlimited scientific developments, which are well recognized today by the Crafoord Prize. These topics have been further investigated by Blandford and Znajek (MNRAS, 179, 433, 1977) following an article by Ruffini and Wilson (Phys. Rev. D 12, 2959,1975). In 2006 Prof. Roy Kerr got the Marcel Grossmann Award (see the related Wikipedia page and the ICRANet booklet on MG11 Award) on the occasion of the institutional international meeting for relativistic astrophysics that takes place every three years in a different country. Prof. Roy Kerr has been teaching at ICRANet within the IRAP PhD, the first International joint Doctorate, composed by six European universities (German, Italian, Swedish and French), founded by ICRANet and internationally coordinated by the University of Nice "Sophia Antipolis". The ICRANet Seat will be open to the public on Saturday January 30, 2016, from 10:00 to 13:00 for a conference: Prof. Roy Kerr will intervene by skype. It seems that the formation of a stellar mass BH does not occur directly from the collapse of a single massive star but instead it follows a much longer path in a sequence of events marked by a succession of processes of gravitational collapse, and finally leading to the actual birth of a BH: 1) the star of larger mass is evolving on a time scale much shorter in a first process of gravitational collapse, leading to a SN and the formation of a NS; 2) the binary system composed of a NS and a massive star evolves toward a binary system with a shorter and shorter orbital period, until also the second massive star explode in a SN; 3) in this process, a second NS is formed and part of the material expelled by the SN is engulfed in the accretion on the first NS; 4) this accretion can lead the accreting NS to reach its critical mass and form a BH, and during this induced gravitational collapse (IGC) process, a GRB is emitted. The details of this complex astrophysical process have been studied and developed in a group of astrophysicists, theoretical physicists, and experts in general relativity working with the most advanced numerical computational techniques in the ICRANet Seats. It was not clear if, after the violent SN explosion with a large loss of mass, the NS (remnant of the SN) and the just born BH could indeed survive as a binary system. From the traditional work on binary systems, it was well known that, if a SN explosion leads to a loss of mass larger than 50% of the initial total mass of the system, this would become unbound leading to the expulsion of the stars in opposite directions. In a paper just published in the prestigious scientific journal "Physical Review Letters" http://journals.aps.org/prl/abstract/10.1103/PhysRevLett.115.231102, Fernanda Gomez Oliveira, a young Brazilian student of the IRAP-PhD in Rome, with Chris Fryer of LANL and her directors of PhD thesis Jorge Rueda and Remo Ruffini, have shown that this result of classical astronomy is actually superseded when relativistic conditions are duly taken into account. 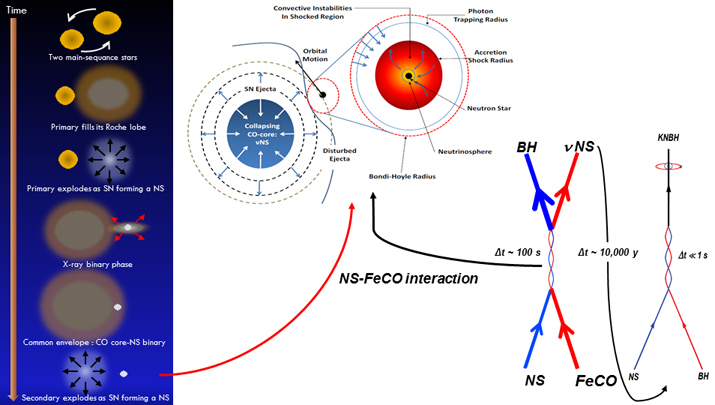 They have shown explicitly that in this IGC phenomenon a new binary system composed by a NS and a BH can be formed even in the case when the mass ejected is larger than 50%! One of the most fascinating conclusions is that the orbits of these new binary systems, in view of the emission of gravitational waves, will shrink with time and, in some ten thousand years, will lead to a necessary coalescence of the two objects. This new phenomenon will culminate in the formation a single new BH of approximately five solar masses. These authors predict that a new GRB of extremely short duration will then be emitted and, for this reason, they have baptized such a new system as "ultrashort GRB". This is a totally new possibility predicted by the IGC paradigm: for the first time, in the field of relativistic astrophysics, it is proposed not only the explanation of the GRB phenomena but that a GRB can lead itself to another GRB. The notion of "Supernovae, Hypernovae and Binary driven Hypernovae" systems which was first introduced by Remo Ruffini within ICRANet (naturally abbreviated to BdHNe), stars in the newest film of Giuseppe Tornatore, the creator of the well-known Oscar winning classic "Cinema Paradiso". 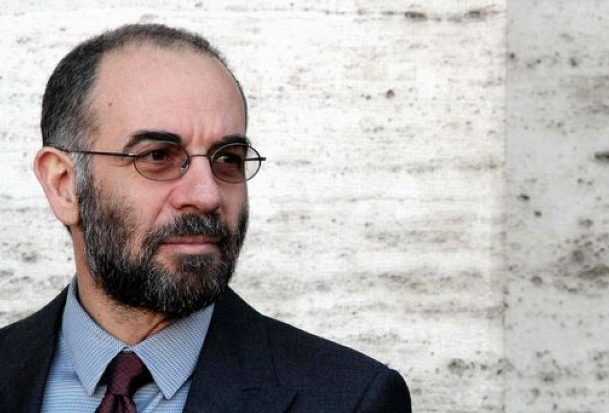 Giuseppe Tornatore, the famous Italian film director and screenwriter who wrote and directed "Cinema Paradiso" and a friend of Prof. Remo Ruffini, recently directed a movie about astrophysics and love entitled "The Correspondence" in which Prof. Ruffini was the scientific advisor. 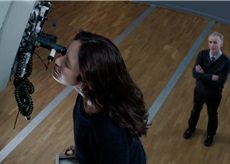 The movie is about a young astrophysics PhD student (Olga Kurylenko) and her relationship with an older astrophysics professor (Jeremy Irons). The film concludes with the presentation of the Ph.D. Thesis of the student with a title "Supernovae, Hypernovae and Binary driven Hypernovae". BdHN is a term for describing the combined gamma ray burst- supernova (GRB-SN) event which was previously considered to be two separate phenomena. 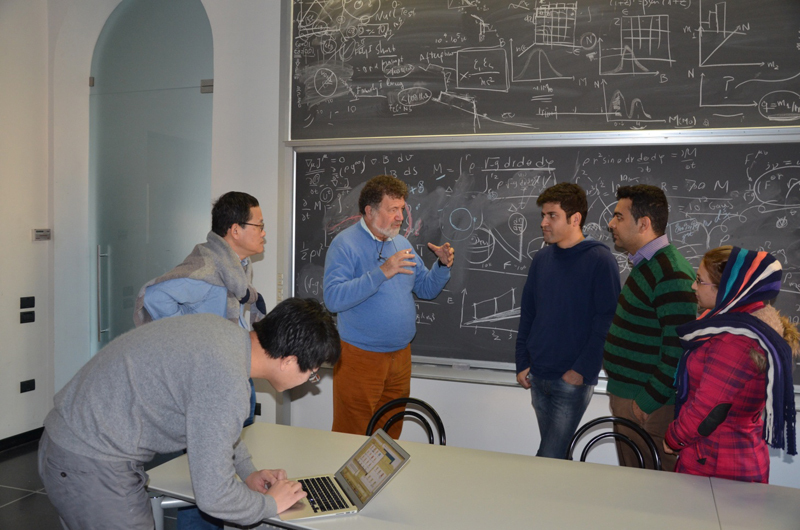 The concept and the name BdHNe were introduced first into astrophysics by Prof. Ruffini and his group, see https://en.wikipedia.org/wiki/ICRANet#Scientific_research_at_ICRANet. For more technical information one can see ApJ Letters 793, 36 (2014) and also A&A 565, L10 (2014). 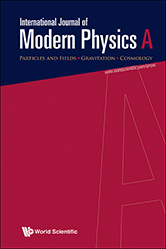 As you can see in the previous news, for the first time the term "Binary Driven Hypernova" has appeared in the title of an article of the most prestigious physics journal "Physical Review Letters", authored by Ruffini and his collaborators see http://journals.aps.org/prl/abstract/10.1103/PhysRevLett.115.231102. The education department of Iran Government provides the financial support for Iranian PhD students for a period of six months to visit foreign scientific Institutions, in order that Iranian PhD students receive strong training and experience in physics and astrophysics as well as establish scientific contacts with the leading scientific groups worldwide. ICRANet hosts some Iranian students, and they participate in PhD schools and scientific meetings organized and supported by ICRANet. From 2011 there have been 7 Iranian students visiting ICRANet Pescara Center. Most students, Eshan Bavarsad, Rohollah Mohammadi Iman Motie and Soroush Shakeri (with his wife a student in condense matter physics) come from Isfahan University of Tecnology. 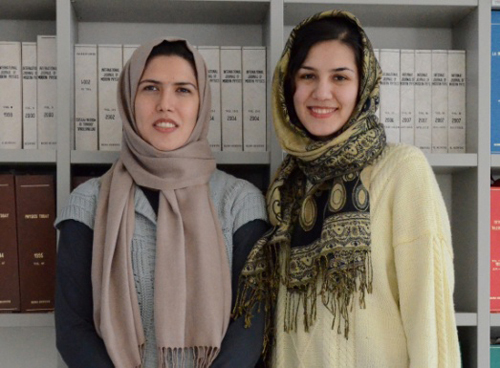 Other two Iranian PhD students have asked for a visit to the ICRANet Pescara Center and their applications are under consideration. 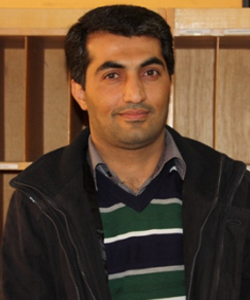 Rohollah Mohammadi has been supported by ICRANet to stay six months more. S. Batebi; S. Tizchang; R.Mohammadi; R. Ruffini; S. S. Xue, The generation of circular polarization of GRB, MG14. S.Tizchang, S.Batebi, R. Mohammadi, R. Ruffini, G. Vereshchagin, S.-S. Xue, Interaction of high energy photons with the background radiation in the universe, MG14. During their stay in the ICRANet Pescara Center all these Iranian PhD students have been involved into the study and research of black hole and neutron star physics, gamma ray bursts phenomena, photon opacity and polarization due to the interactions with cosmic microwave background and cosmic neutrino background. Their results are being published in refereed scientific journals. Some of these students continue the scientific collaborations with the ICRANet after their return to Iran. 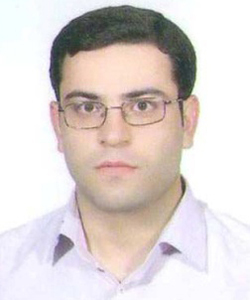 Another two students from Iran, Zeinab Khorrami and Rahim Moradi, have been admitted in 2012 and 2014, respectively, as Ph.D. students in the IRAP PhD program http://www.icranet.org/irap-phd established by ICRANet for three years. J. Khodagholizadeh, R. Mohammadi and S.-S. Xue, "Photon-neutrino scattering and the B-mode spectrum of CMB photons", the Rapid communication section of Physics Review D 90, 091301(R) (2014). R. Mohammadi, I. Motie, and S.-S. Xue, "Circular polarization from linearly-polarized-laser-beam collisions", Phys. Rev. A 89, 062111 (2014). R. Mohammadi and S.-S. Xue, "Laser photons acquire circular polarization by interacting with a Dirac or Majorana neutrino beam or cosmic background", Phys. Lett. B 731 (2014) 272. I. Motie and S.-S. Xue, "High energy neutrino oscillation in discrete space-time", International Journal of Modern Physics A Vol. 27, No. 19 (2012) 1250104. I. Motie and S.-S. Xue, "Euler-Heisenberg Lagrangian and CMB photon circular polarization", European Physics Letter, 100, 17006, (2012). 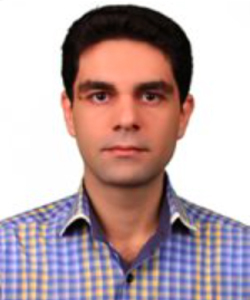 Prof. Haghighat is a specialist in particle physics, received a degree in High Energy Physics from ICTP, Trieste, Italy. 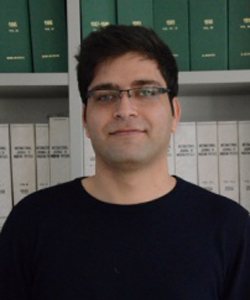 He visited ICRANet Pescara center from 12 to 26 of July 2015 and presented a talk at the 14th Italo-Korean symposium on Relativistic Astrophysics with the title "Generation of Circularly Polarized Radio waves in a background Field". Prof. Mansouri was the Deputy Science Minister from 2001 to 2005 and the president of The Physical Society of Iran. He is one of the founders of Institute for Studies in Theoretical Physics and Mathematics (IPM). He is responsible for Iran's 3.4 meter national telescope (INO340). He has been awarded Abdus Salam prize. 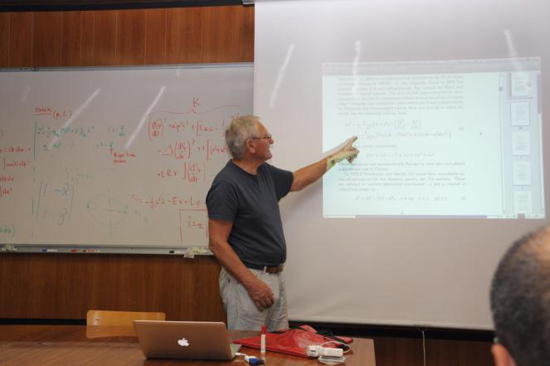 He visited ICRANet Pescara center in July 2015 and presented a talk at the 14th Italo-Korean symposium on Relativistic Astrophysics with the title "Do we know what a black hole is? A conceptual refinement". Prof. Sobouti, a former student and collaborator of Subrahmanyan Chandrasekhar (Nobel Laureate in Physics) has continued academic activity reaching prominence in relativistic astrophysics recognized worldwide, and has been through many years in contact with prof. Ruffini. The 1JG meeting has been part of the ICRANet celebrations of the International Year of Light by UNESCO, of the 100 Anniversary of the Einstein Equations, and the Golden Jubilee of Relativistic Astrophysics, and it has been a satellite meeting of the Fourteenth Marcel Grossmann meeting (MGXIV), celebrated from 12 to 18 July in Rome. The goal of the conference was to bring together leading scientists working in theoretical and observational aspects of neutron stars, black holes, supernovae, gravitational waves, high-energy astrophysics and cosmology, to review the current status and to discuss further directions in gravity and relativistic astrophysics. In doing this, the meeting witnessed the trip of the Einstein's Theory of General Relativity, starting as a purely theoretical theory with very few observational support, and which founds the initial reluctance of a great number of recognized physicists of the time, including Julio Garavito Armero in Colombia, to become in our days one of the most successful and observationally supported of the physical theories. The status and prospects of the ICRANet activities and scientific collaborations in Latin America, with special emphasis in Colombia, were also discussed. 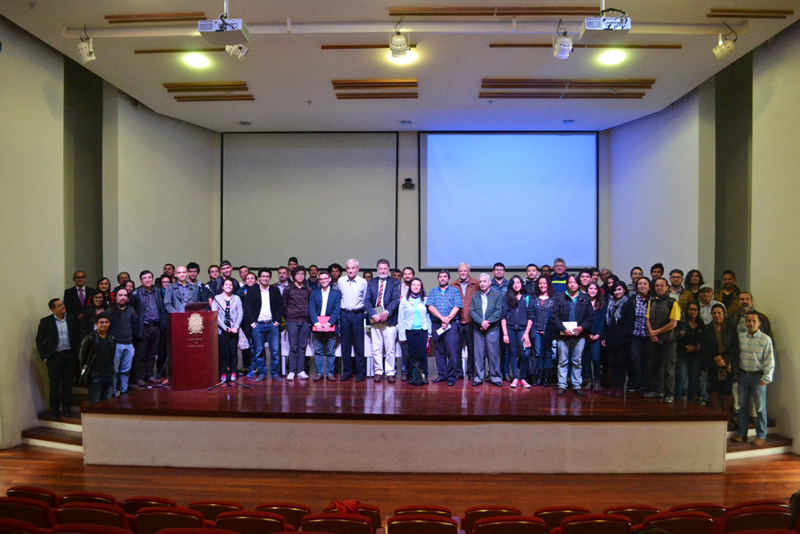 The 1JG meeting was jointly organized by ICRANet, Universidad Industrial de Santander (UIS), Universidad Nacional de Colombia (UNAL), Universidad de Los Andes (Uniandes), Universidad del Valle (Univalle), Universidad de Antioquia (UdeA), Centro Internacional de Física (CIF) of Bogotá and Planetario de Bogotá. The meeting started from 23 to 25 November at UIS in Bucaramanga. The first day of the conference was devoted to "Exact Solutions of Einstein equations Applied in Astrophysics" and to selected topics in "Classic and Quantum Gravity". At the end of the first day, the musical group EMUIS from UIS made a fantastic concert interpreting a selection of musical pieces that showed the different rhythms of all the natural regions of Colombia. During the second day of the conference talks on "Supernova", "Neutron Stars", "Numerical Simulations in Astrophysics" and on the "Future Observational Projects in High-Energy Astrophysics in Latin America" were presented. This second day ended with the Public Lecture entitled "Relatividad y Sentido Común", by Prof. Luis Herrera Cometta. The final day of the meeting in Bucaramanga focused on "Active Galactic Nuclei", "Cosmology", "Large Scale Structure", and "Solution of Einstein Equations Applied in Astrophysics". During the three days of conference in Bucaramanga a Poster session was active during the coffee breaks in which both undergraduate and graduate students had the opportunity to show and explain to all the participants the current state and results of their researches. The rest of the week, namely from 26 to 27 November, the 1JG meeting moved to Bogotá. The 26th of November "Planetario de Bogotá" hosted three Public Conferences by Prof. Remo Ruffini, Prof. Félix Mirabel and Prof. Fernando Izaurieta, in addition to the presentation of the theatrical piece with three-dimensional mapping "Albert el triunfo de la imaginación". The final day of the 1JG meeting, the 27th of November, was hosted by UNAL. Talks on Observational Projects in Latin America, Astrophysics of Black Holes, High-Energy Astrophysics, Large Scale Structure, Dark Matter, Neutron Stars, Gamma-Ray Bursts and Quantum Gravity were presented. These two days in Bogotá witnessed as well a series of meetings in which the prospects of the activities and scientific collaborations between ICRANet and Colombia were discussed including the possible entrance of Colombia as a State Member of ICRANet. 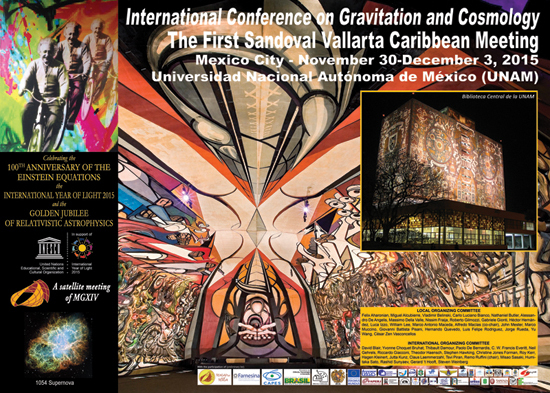 The meeting celebrated from 30 November to 3 December 2015 the 100th anniversary of the Einstein Equations and address the fostering of future ICRANet Scientific activities in Mexico, following the MGXIV meeting in Rome in July 2015 and covered observational activities in the X, gamma ray and UHECR, theoretical progress in the relativistic astrophysics of Neutron Stars, Black Holes, Gravitational Waves and Cosmology as well as the development of the Brazilian Science Data Center (BSDC): from galactic and extragalactic sources and as far back in time to the appearance of the first structures in our Universe. Status and perspectives for the Mexican participation in ICRANet projects, within the IRAP PhD and EMJD Program, the associated post-docs, and presence of senior research leaders within all the ICRANet Centers were reviewed. Maxime Enderli, "Binary Progenitors of GRBs in the Fireshell Model", defended on 9th December, 2015 at the University of Rome "la Sapienza"
The works presented in this thesis share a common scope. Each of them plays a part in the establishment of a new classification of gamma-ray bursts based on results obtained with the alternative fireshell model. Due to the extreme nature of GRBs, it is noteworthy that a better understanding of these phenomena may yield important developments in the fields of relativistic astrophysics and cosmology. The introduction of the Induced Gravitational Collapse paradigm leads to the idea of binary GRB progenitors. This paradigm applies to energetic long GRBs associated to supernovae, and stems from the identification of physically different episodes in the γ-ray observations of several GRBs. The sequence of events in an IGC event (also referred to as a binary-driven hypernova) is detailed, and we characterize each of the four episodes that we identify. In the IGC framework, the first episode is due to the onset of a supernova and to the accretion of the ejecta onto a companion neutron star. The second episode is produced by the collapse of this neutron star to a black hole. The third episode, which encompasses emission from the SN ejecta, the SN shock breakout, and the new neutron star remnant of the supernova, appears to follow a regular behavior: the lightcurves of the late X-ray emission show evidence for overlapping and nesting features. Finally, the fourth episode consists of the supernova peak optical signal. We also report on a work that aims at characterizing IGC events through an analysis of their joint X-ray and optical spectral energy distributions. These initial results are expanded to several remarkable GRBs to which we apply the IGC paradigm. Thus the cases of GRB 130427A – a very energetic yet relatively nearby event –, of GRB 090423 – the farthest GRB with a spectroscopic redshift to date –, and of GRB 970828 are summarized. In addition to the study of the long GRB population, the understanding of short GRBs is improved through the analysis of energetic short events. The prototypical GRB 090227B serves as a model for the cases of GRB 140619B and GRB 090510, which are understood as binary neutron star mergers leading to the formation of black holes. In particular, GRB 090510 bears remarkable peculiarities that we interpret in the framework of the fireshell model; these peculiarities lead us to conclude that the newborn black hole may be endowed with a high spin. An important feature of the fireshell model is its energy source: originally, electromagnetic energy extraction from a Kerr-Newman black hole was considered and found to be able to deliver up to 1055 erg in a few seconds for a 10 solar mass black hole. Thus, whether gravitational collapse to a black hole occurs or not is of paramount importance regarding the energetics of a GRB. 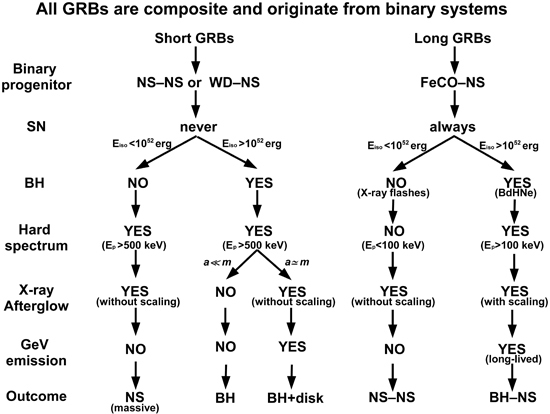 As a consequence of this dichotomy, both short and long GRBs are further divided in two families characterized by the formation – or lack thereof – of a black hole during the course of a GRB. The classification scheme of GRBs that we obtain may be summarized by the figure. 7. Enderli, M.; Ruffini, R.; Aimuratov, Y.; Bianco, C. L.; Kovacevic, M.; Moradi, R.; Muccino, M.; Penacchioni, A. V.; Pisani, G. B.; Rueda, J. A.; Wang, Y., “GRB 090510: a genuine short-GRB from a binary neutron star coalescing into a Kerr-Newman black hole”, submitted to ApJ. Eckhard Strobel, "Critical and overcritical electromagnetic fields", defended on 13th January 2016 at University of Rome "Sapienza"
We semiclassically investigate Schwinger pair production for two component electric fields depending on time. To do so we solve the Dirac equation for two-component fields using a scattering ansatz inspired a Wentzel–Kramers–Brillouin approximation. Studying the same fields using the world-line instanton approach we find that the methods agree. In general the results show that for two-component fields the spin distribution of produced pairs is generally not 1:1. As a result the pair creation rates of spinor and scalar QED are different even for one pair of turning points. For rotating electric fields, the pair creation rate is dominated by particles with a specificspin depending on the sense of rotation for a certain range of pulse lengths and frequencies. We present an analytical solution for the momentum spectrum of the constant rotating field. Figure 1. 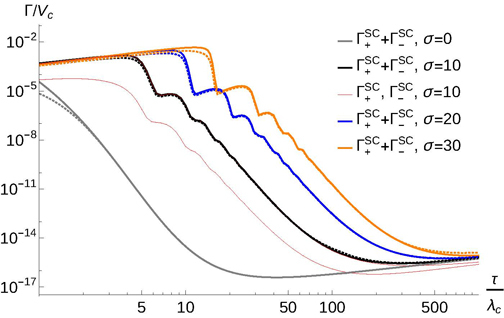 Total particle number per Compton volume of the rotating Sauter pulse for different pulse parameters. The dotted lines show the results of the DHW method. We find that the results agree in an intermediate range of the pulse length τ depending on the number of rotations σ. For small τ the semiclassical approximation breaks down, whereas for long pulses the DHW method is limited by errors in the numerical integration. We also present a comparison to a method based upon the real-time Dirac--Heisenberg--Wigner (DHW) formalism for pulsed rotating electric fields. For the semiclassical method we propose to either perform numerical calculations or an additional approximation based on an analytical solution for the constant rotating field. We find that both numerical methods are complementary with respect tocomputation time as well as accuracy. The approximate method shows the same qualitative features while being computationally much faster. In addition we study the fermionic Schwinger effect in two-dimensional de Sitter spacetime. For the constant electric field solutions for the Dirac equation can be found and the number of pairs can be computed using the standard Bogoliubov method. The solutions are used to compute the expectation value of the induced current. Comparing these results to similar studies for bosons, we find that while the results agree in the semiclassical limit, they do not generally agree. In particular, there is no occurrence of a strong current for small electric fields. Furthermore, we generalize the result that for vanishing electric or magnetic fields the strong-field behavior of the one-loop Euler-Heisenberg effective Lagrangian of quantum electro dynamics is logarithmic for different limits of the Lorentz invariants. The logarithmic dependence can be interpreted as a lowest-order manifestation of an anomalous power behavior of the effective Lagrangian of QED, with critical exponents δ=e2/(12π) for spinor QED, and δS=δ/4 for scalar QED. 5) Hagen Kleinert, Eckhard Strobel, and She-Sheng Xue. "Fractional effective action at strong electromagnetic fields", Phys. Rev. D 88 (2013) 025049.